The Urban Basket is a folding, collapsible canvas basket that's as versatile as it is stylish. 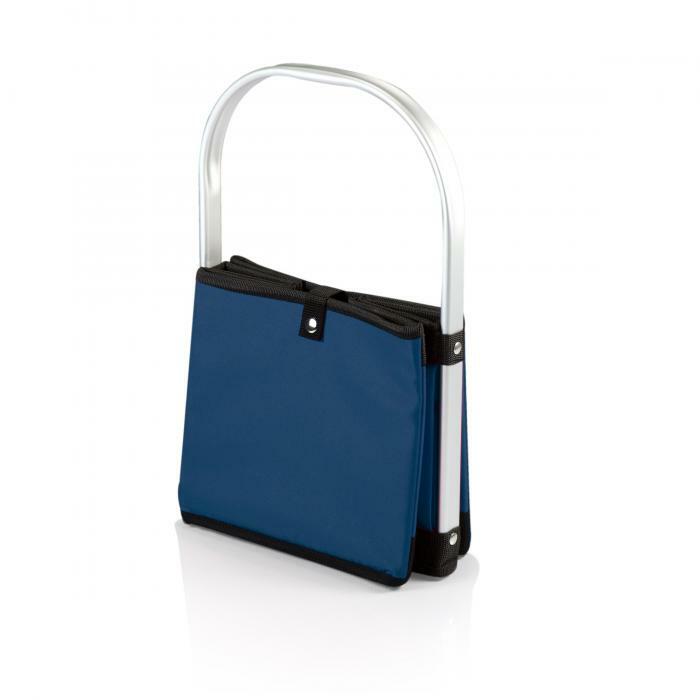 It has a stationary, form-fitted aluminum handle to which the accordion-style canvas body folds for compact storage, and a snap closure keeps the basket folded. The padded, interior base flattens out to keep the basket erected or folds in half lengthwise for storage. 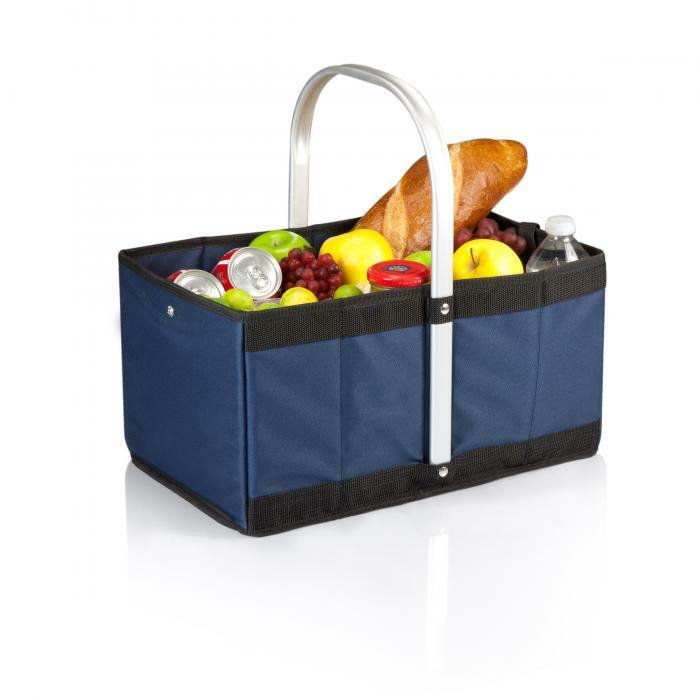 Use the Urban Basket for shopping or to transport items at or away from home. DIMENSIONS: 18" x 3.25" x 12.75"
Made in USA. Superb quality and functionality. Looks good too!